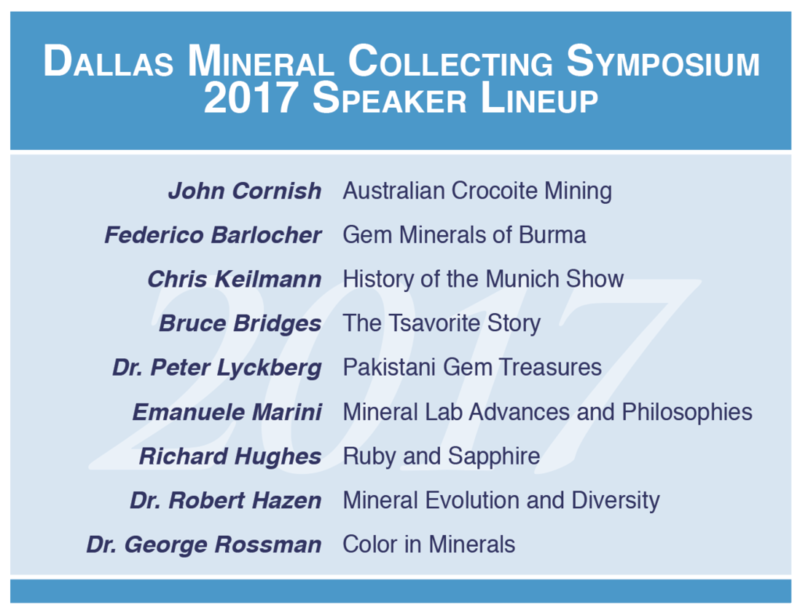 Thanks to everyone who joined the 2017 Dallas Mineral Collecting Symposium the weekend of August 25-27, 2017. Stay tuned for the DVD published by Bryan Swoboda at BlueCap Productions, or visit their online shop to purchase copies of previous DVDs. They also have many mineral videos available OnDemand on Vimeo.